Mark Stevens, best-known to locals as half of the popular Stevens and Pruett Rock 101 KLOL morning show died early this morning in his sleep. ABC Ch. 13 reports  that Stevens had been battling Alzheimer's. "I'm not sure where to begin or how other than to say my heart is broken," says Laurie Kendrick, who was a producer and reporter with the Stevens and Pruett show. "He was my mentor, my radio father figure, my friend and one of the most influential people I've ever known. He was generous and selfless about giving unknowns a chance. I owe a great deal to Mark Stevens, as does every former member of the show." 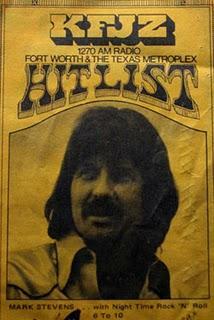 Stevens worked in Fort Worth before landing in Houston in the '70s as Mark Hudson, where he was part of the Hudson and Harrigan morning show on KILT AM. Stevens and Pruett then worked at KULF-AM in Houston before moving to Dallas and finally bringing the show back to Houston, where it ruled the KLOL airwaves until 2000. 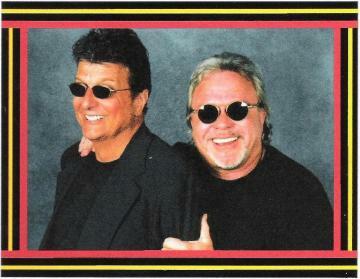 Stevens and Pruett were inducted into the Texas Radio Hall of Fame in 2003. "Mark Stevens was an extremely influential and innovative radio personality," says Pat Fant, KLOL general manager from 1986-1994. He hired Stevens and Pruett from Dallas in 1986. "There have been many who've tried to copy their style, but no one really ever came close, and Mark was one of principle reasons why. He will be missed, and radio has died yet another death as a result of this loss." Popular blogger and tweeter Mike McGuff  is producing a documentary on Rock 101 KLOL and recalled Stevens' in his prime time. "Growing up in Houston, Stevens and Pruett were always the talk in the school hallways," McGuff says. "No one could believe the things they talked about or the stunts they got away with on air." Stevens' only daughter, Kim, preceded him in death in 2005.